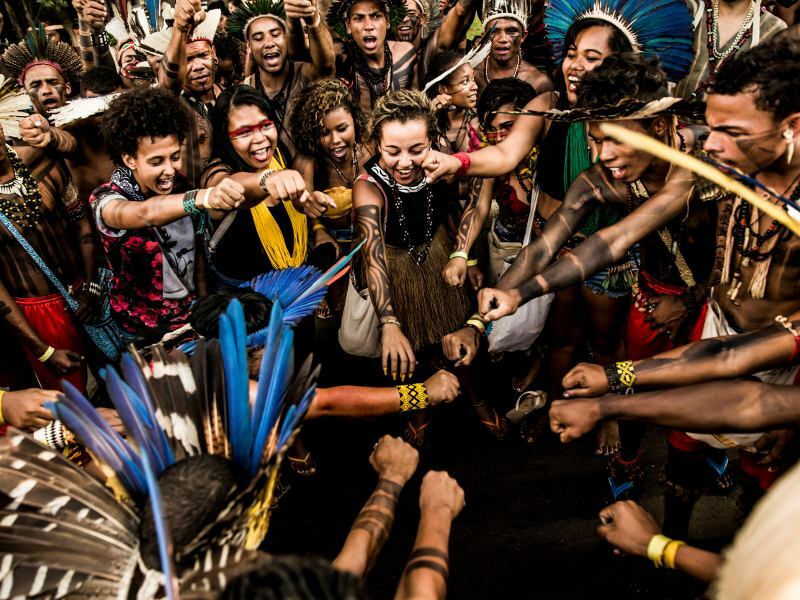 Across the Amazon, Earth Defenders face threats and attacks for their activism in defense of rivers, forests, the climate, and territorial rights. 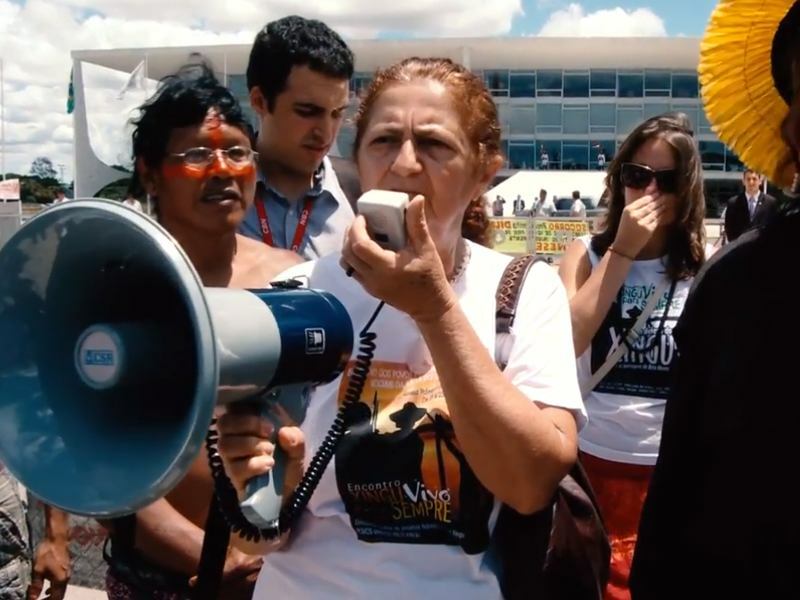 Some call these activists environmental human rights defenders; others refer to them as earth rights defenders, environmental and land defenders, or environmental activists. All are names for a collective of local community leaders and members, indigenous community leaders, environmental activists, and others acting to protect land, water, forests, biodiversity, animals, and the rights of communities to serve as stewards of those resources. At least 365 Earth Defenders were killed in Amazon countries between 2010-2015, more than half of them in Brazil. Earth Defenders also face countless non-lethal attacks and threats, including smear campaigns, death threats, physical attacks, hacking and spying, and harassment by way of intelligence and judicial systems. 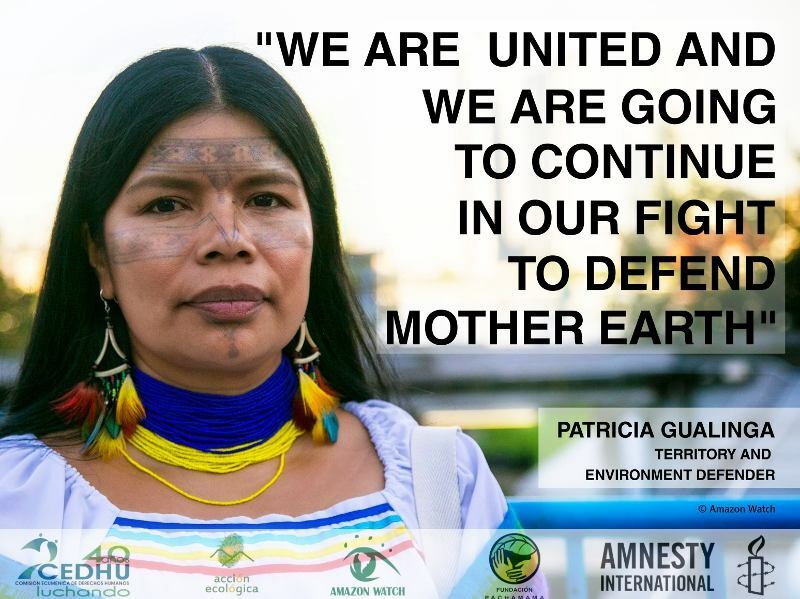 Earth Defenders speak out and organize against the industrial exploitation of natural resources and usurpation of traditionally-held land. They oppose large-scale mines, oil drilling, and other dirty energy projects, large hydroelectric dams, biofuel plantations, cattle ranches, new highways and railways, logging operations, and other types of harmful industrial development. 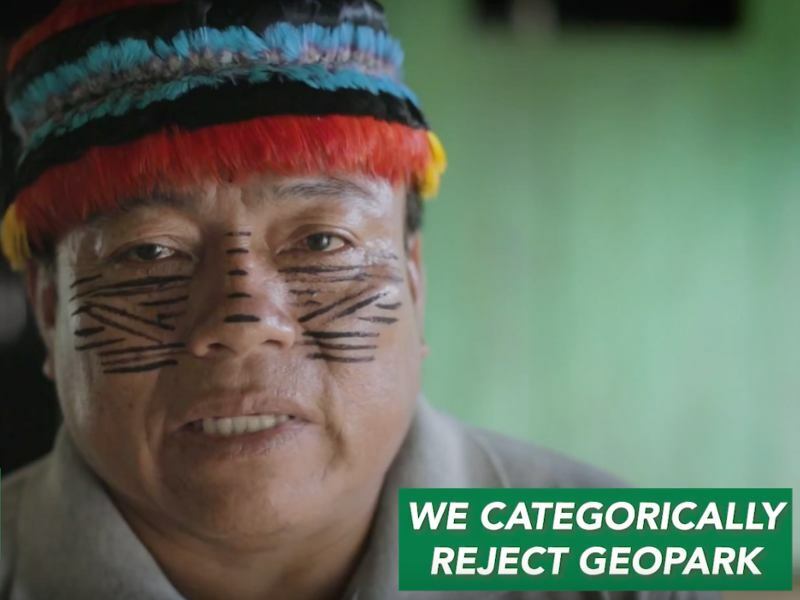 Given that many of the most sought-after resources are found in the ancestral territories of the nearly 400 distinct indigenous peoples of the Amazon, those at the front lines of these conflicts over land and resources are often indigenous peoples. While most of the Amazon nations have ratified International Labor Organization Convention 169, which stipulates consultation with indigenous communities to be affected by proposed industrial development and extractive industry projects, and some have national laws that provide for even more stringent requirements to that effect, in practice private and even public projects run roughshod over the rights and interests of these communities to free, prior, and informed consent. Across the Amazon Basin, judicial-system harassment, often referred to as criminalization, is a particularly common tactic used by governments to silence dissent without recourse to bloodier tactics that tend to generate greater attention, sympathy and public outcry. Criminalization demonizes Earth Defenders, often alienating them from their communities and support networks due to the accompanying stigma and shame, and inhibits their ability to carry out their work due to the time, energy and financial resources that they must dedicate to legal defense. 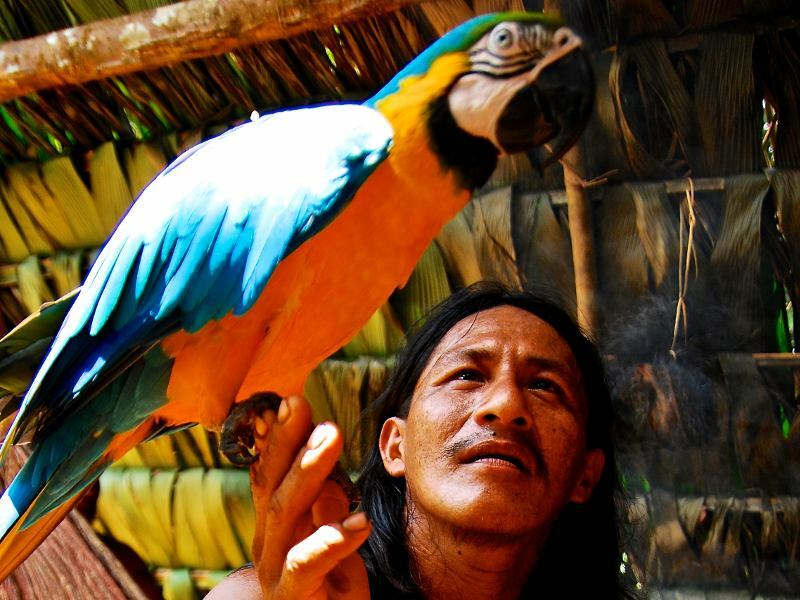 Amazon Watch is committed to the defense and support of Earth Defenders through advocacy before national and international authorities, emergency response, communications support to amplify their messages, and more.